A retainer is designed to keep the teeth where the previous braces/aligner treatment moved them. To properly maintain the results your investment deserves it must be worn according to the guidelines set by your orthodontist. But let’s face it – getting into the habit of wearing a retainer correctly and keeping it safe can be a challenge! Here’s all you need to know about the importance of retainers, alongside some tips for use and safe keeping. In a nutshell, they are custom-made orthodontic appliances that are designed to hold the teeth in their new positions after orthodontic treatment. If they are not worn as instructed by your orthodontist, the teeth will very rapidly begin to go crooked again. It is vitally important to understand that it takes time for a mouth to ‘learn’ the new positioning of their teeth once braces are removed. While some minor changes to the bite and tooth alignment post-treatment are normal, wearing a retainer for as long as your orthodontist recommends is the best way to ensure their teeth stay healthy and straight for years to come. Faces, teeth and jaws are guaranteed to change as we age, but every person is unique. Therefore, only your orthodontist will be able to advise which type of retainer is right for you and how often and for how long you should be wearing it. · Keep it safe: When the retainer is not being worn, it should always be kept safe in its container so it won’t be damaged or lost. Wrapping it in a napkin or tissue isn’t a good idea as it’s more likely to get lost or accidentally thrown away. · Clean it regularly: Retainers are exposed to the same bacteria and plaque as the rest of your mouth. Like teeth, they need to be cleaned (or at least rinsed) after every meal. Ensure your child cleans their retainer as they would their teeth, with a gentle brush. Retainers can also be soaked with a cleanser tablet or mouthwash to keep them fresh and germ-free – ask your orthodontist for a recommendation as to which brands are best to use. · Protect it from damage: Retainers are mostly plastic, and the two most common ways they can be damaged are from heat and from physical abuse. Retainers shouldn’t be placed in hot water, the dishwasher, washing machine, direct sunlight or near a heat source – they’ll easily warp. 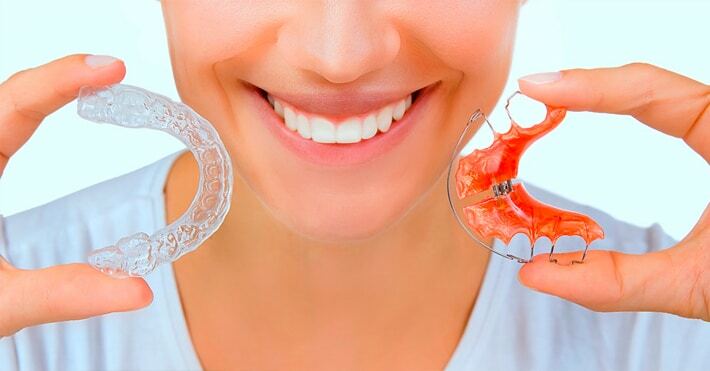 Caring for a retainer properly will ensure it lasts the distance! · Know when to remove it: Retainers should always be removed before eating and toothbrushing as well as when swimming or playing sports. · Schedule regular retainer check-ups: And if the retainer starts to lose shape or isn’t fitting correctly, call your orthodontist immediately. · Focus on hygiene: A fixed retainer can be a food/plaque trap, therefore it should be brushed twice daily, and flossed at least once daily. Your orthodontist will demonstrate how to do this properly on the day when the fixed retainer is fitted. · Protect it from damage: Just like braces, fixed retainers can break if you chew something hard, or if you pick it with your finger nails, toothpicks etc. Therefore, be mindful what you eat, and if possible, avoid foods that could potentially break or distort the retainer wire. · Call your orthodontist if something does not feel right: If the fixed retainer feels loose, or if you can feel something sharp, contact your orthodontist immediately. 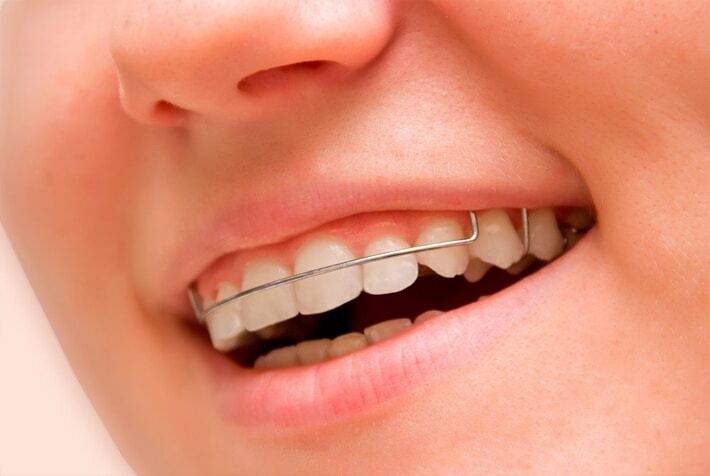 · Have it checked regularly: It is important to see your orthodontist for regular retainer checks. If you are no longer under the care of your orthodontist, then it’s important you see your dentist for your regular six monthly dental check-ups. Your orthodontist or dentist will be able to tell you if the fixed retainer is still functional, or if it needs to be repaired. Although it can be tempting to neglect this final step, it’s important to understand the importance of wearing a retainer once braces are removed. Wearing a retainer and caring for it properly will help ensure you keep your beautiful new smile for the rest of your life!